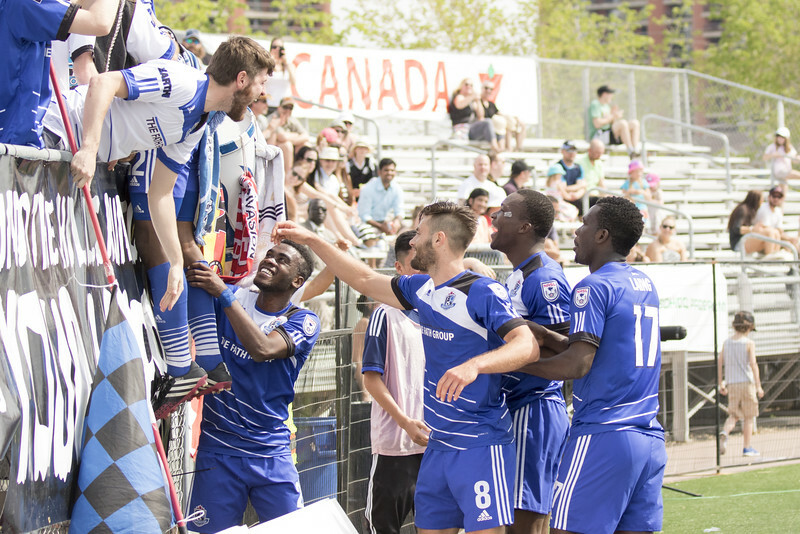 When the final whistle blows at Clarke Field, there is only one place FC Edmonton defender Kareem Moses can be found. 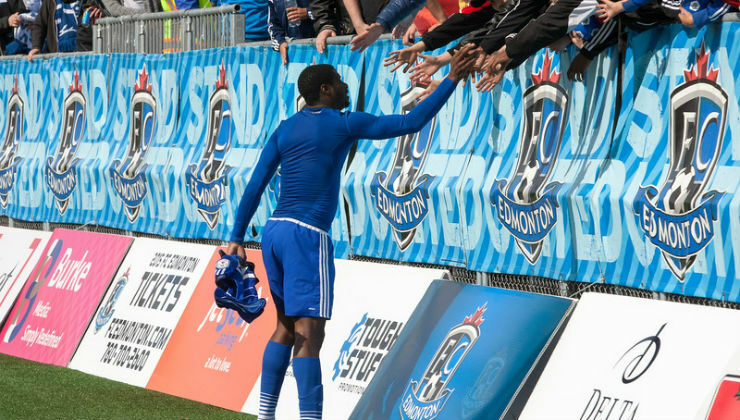 After each and every home match – whether it’s a win or loss for the Eddies – the defender from Trinidad and Tobago who is in his second year with the club, heads toward the Edmonton Supporters Group. Moses knows the importance of that connection, between player and fan, and the impact it can have on the field, even when the game isn’t going the Eddies’ way. 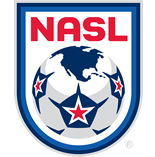 “That’s what soccer is about,” Moses told NASL.com. “It’s a passionate sport and just knowing that when you’re having a bad day or you’re down, there’s people that support you is a great feeling. The bond he has formed with the Clarke Field faithful continues to grow, and the effort to interact and build a relationship with supporters' groups is something Moses has tried to do throughout his career. So it was only fitting that there would be only one suitable way to celebrate when Moses scored against the Atlanta Silverbacks in a 4-2 win in the Spring Season. As much as the 25-year-old appreciates the support coming from the home crowd, they’ve enjoyed the time he takes to go over to wave or to chant or, at the end of the recent 3-0 win against the Carolina RailHawks, wave a flag and pump his fists. The Eddies have won their last two matches at home and five of eight overall in 2015 with two draws and three losses. Visiting Clarke Field has never been an easy task, and Moses believes it’s because of the support. “I think those fans have a lot to do with our form at home,” said Moses, who has noticed a bigger soccer culture growing in the city. And Moses will continue to give back to that support by meeting, chanting, and even dancing with the supporters after each and every home match.